We took three horses to Hambleden International Horse Trials running in SMART™ saddles; Cadanbyrig Moonrunner and Cadanbyrig No Warning in the BE100 and Sabreeze in the Novice. Cadanbyrig No Warning has continued to improve on the flat and did a lovely dressage test to score 31, rolled a pole in the showjumping and went clear cross country to finish 9th in a very competitive section. Cadanbyrig Moonrunner scored 39 in the dressage but unfortunately had a few rails in the showjumping through greenness but went very confidently around a strong BE100 cross country track. Sabreeze has also continued to improve and scored his first sub 30 test with a 29.5, had an unlucky pole in the showjumping and went well cross country to finish 5th in another competitive section! We took two lorry loads to Bicton; Cadanbyrig No Warning and Cadanbyrig Moonrunner for BE100, Phantom Spark for BE100 Plus, Sabreeze for Novice and The Navigator in the Open Intermediate. Sabreeze won his section in the novice! 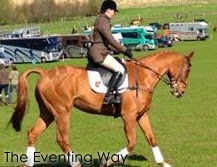 He improved on his success the previous week where he was placed 5th at Hambleden. 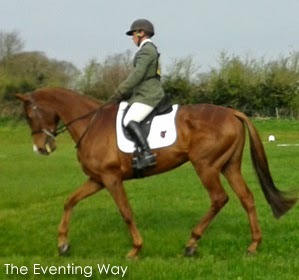 At Bicton he scored a personal best in the dressage with 29 his straightness has really developed and he is much freer in his movement which has contributed to the improvement in his scores. His showjumping has come on in leaps and bounds - literally! He has an unusual technique and was always quite tight behind but as time has gone on jumping in the SMART™ RigidFree™ saddle he has got better and better and at Bicton jumped a fantastic clear without breathing on a pole. He then jumped brilliantly and really enthusiastically cross country inside the time to finish on his dressage score of 29 and win his class. · The Navigator did a good test and went very well across country around a strong intermediate track and finished 10th in his section. 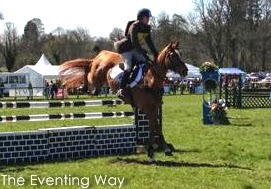 · Cadanbyrig No Warning was first on in the BE100 and did a brilliant test to score an impressive 24 and finished 6th in a very competitive section. · Cadanbyrig Moonrunner did her best test to date scoring 29.5 - her first sub 30 test. 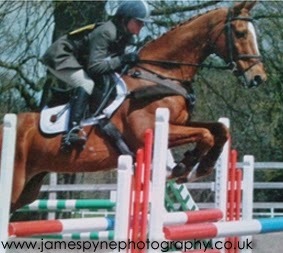 She jumped much better in the showjumping and went well cross country finishing just out of the placings. · Phantom Spark was having his first run for a number of weeks after he had missed events due to cancellations. He was running in the BE100 Plus section. 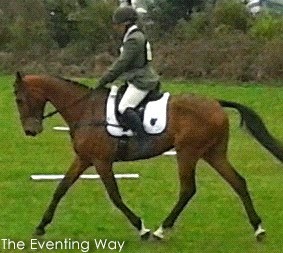 The dressage test is a Novice level test - the first for him so he did really well to score 35. He was very green in the showjumping and definitely lacking match practise but went well cross country improving all the way. 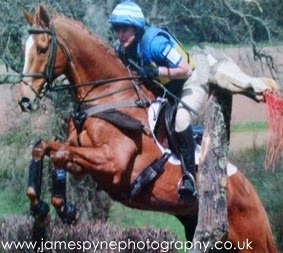 A great weekend at Bicton with 3 horses taking home prizes. We also realised one of the real benefits of the SMART™ saddles when we forgot to pack the dressage saddle we use on Sabreeze, fortunately as we had the pads we were able to use another of the SMART™ RigidFree™ saddles and it still fitted perfectly!